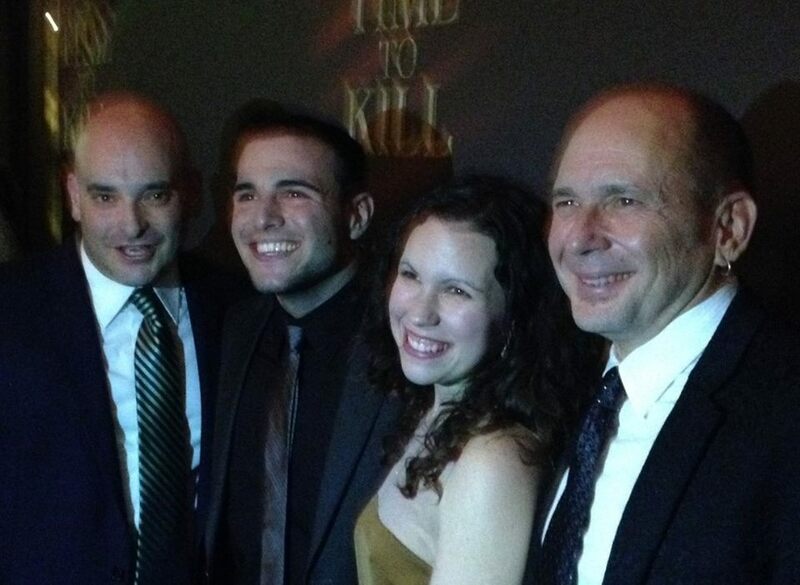 A Time to Kill opened on October 20, 2013. Here’s a photo of James and his stage management staff at the gala opening night party! L. to R.: David Sugarman (Assistant Stage Manager), Jeff Brancato and Veronica Falborn (Production Assistants) and the Backstage Baker himself, James Latus! But since opening night, James has been slowly getting back into the swing of cooking and baking. And he couldn’t resist making this Halloween-themed dinner the other night. Easy peasy and fun for all ages! Preheat oven to 350 degrees F (175 degrees C). Grease an 8×8 inch or larger baking dish. Lightly mix together the ground chicken, egg, rice, onion, tomato, garlic, chili sauce, mustard, Worcestershire sauce, herbs, salt, and pepper in a bowl. 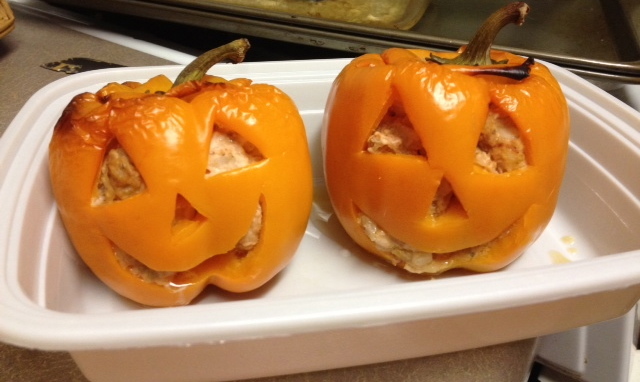 Wash the peppers, and cut jack-o’-lantern faces into the peppers with a sharp paring knife, making triangle eyes and noses, and pointy-teeth smiles. Slice off the tops of the peppers, and scoop out the seeds and cores. Stuff the peppers lightly with the meat stuffing, and place them into the prepared baking dish so they lean against each other.